Brexit quickly became the biggest talking point of 2016. But, with the spotlight falling on our country’s global reputation, has its impact on our education system been overlooked? Post-brexit figures suggest that primary school ICT equipment and software are becoming more expensive. The drop in the pound has resulted in a weaker exchange rate, which, in turn, is prompting overseas IT manufacturers to hike their prices. Companies such as Microsoft, Apple and HP have already talked about raising the costs of their cloud-based services and equipment prices could also rise, as tech enterprises look to plug the gap left behind by the UK’s departure from the EU. Overall, the surplus costs could set schools back a further £20,000 a year. In order to offset these losses, schools must revise their approach to primary school ICT funding. Schools across the country are struggling to cope with significant budgetary pressures. Funding is already stagnating and, following the result of the EU referendum, there doesn’t seem to be much chance of the situation improving. While expenses can be cut in certain areas, must-have technology such as data cables, PCs, and software licensing will all need updating regularly. As the world enters a new technological revolution, schools that fall behind will be unable to offer their students an insight into current trends. Computer sciences could suffer from a lack of adaptation and cause primary school ICT lessons to fall short of government expectations. But if the government wants to maintain these expectations, they must change tact quickly. Schools cannot afford to supply extra funding themselves and remain fully reliant on backing from the Department of Education. Without this assurity, many schools will be unable to replace failing IT systems or renew cloud-based subscriptions. Affordability is a key issue and one that must be dealt with swiftly. Schools shouldn’t have to devise cost-effective strategies for themselves. Many tech companies will look to take advantage of the UK’s vulnerability, piggybacking on the country’s financial uncertainty and offering untenable deals. For schools with little technical background, accepting these offers may feel like the only solution. But, there are a number of factors that should be considered first. Although the cost of primary school ICT is expected to increase by as much as 22% in the coming months, affordable solutions can still be implemented. While wholesale changes may be out of the question, improvements to existing facilities are still possible. If the government is unable to provide extra funding for the education sector, then retrofitting measures may be necessary. A major problem with tech integration is that the existing infrastructure doesn’t support new innovations. Cloud-based systems rely on fast broadband speeds to deliver large streams of data. Physical data cables improve broadband accessibility, but involve installation and setup costs. If your computer lab needs restructuring, then you need to think about how you can offset the cost in other areas. Audio-visual solutions need to be versatile and applicable to a range of learning strategies. Costs can be justified if they enhance every area of the school curriculum. 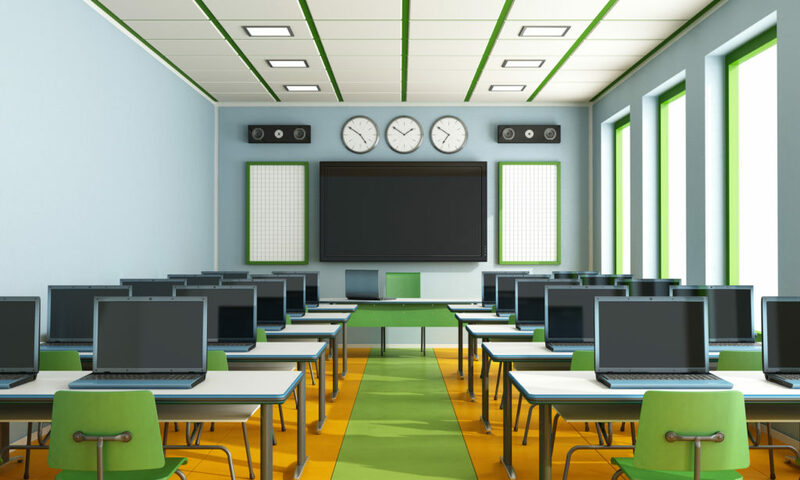 For example, replacing ailing interactive whiteboards with a Clevertouch smart system would allow you to integrate audio-visual solutions and online resources into all core subjects. Not only are you maximising the learning potential of your lesson plans, you are installing a system that will remain adaptable in the future. Changes to the UK economy will impact heavily on your school’s budgetary decisions. But, our decision to leave the EU gives educational facilities even more responsibility to invest in their students. Primary school ICT is essential to a generation reliant on their digital skills. Finding holistic solutions to technological improvement is critical and should be a key priority in your plans for the coming year. At Netcom 92, we work with you to find the most cost-effective IT solutions for your school. For more information on any of services we provide, call us today on 01927 441 505 or get in touch via our contact page.